Many people think that Tower Bridge is the London Bridge! With so much to see and do in London, sometimes it’s nice to sit back, relax and have someone show you everything. On a beautiful sunny day- a bit hard to come upon here- the Thames River Cruise is the perfect option. 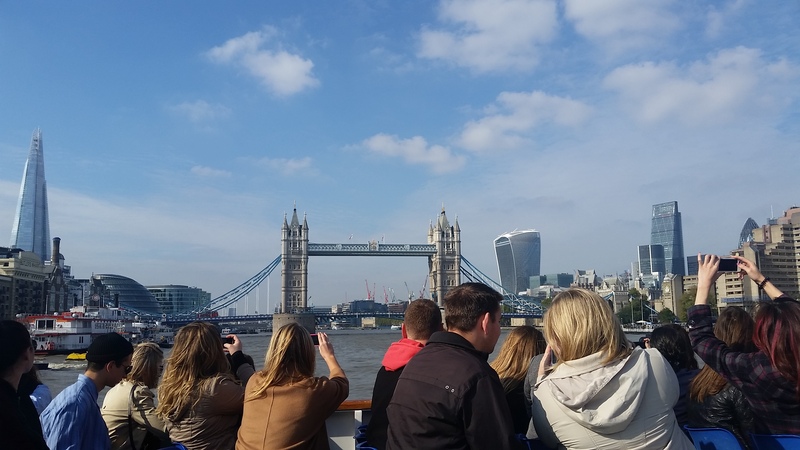 Not only is it relaxing on the water, you’ll learn facts about the bridges (there are surprisingly some cool facts on these) and buildings along the Thames that you might not get if you are on a self-guided tour. • The Waterloo Bridge was the first and only bridge in London to be completed on time, within budget and self-cleaning? Not only that, but it was built by women while men were fighting in WWII! And the women have only recently been given credit for building it as well. 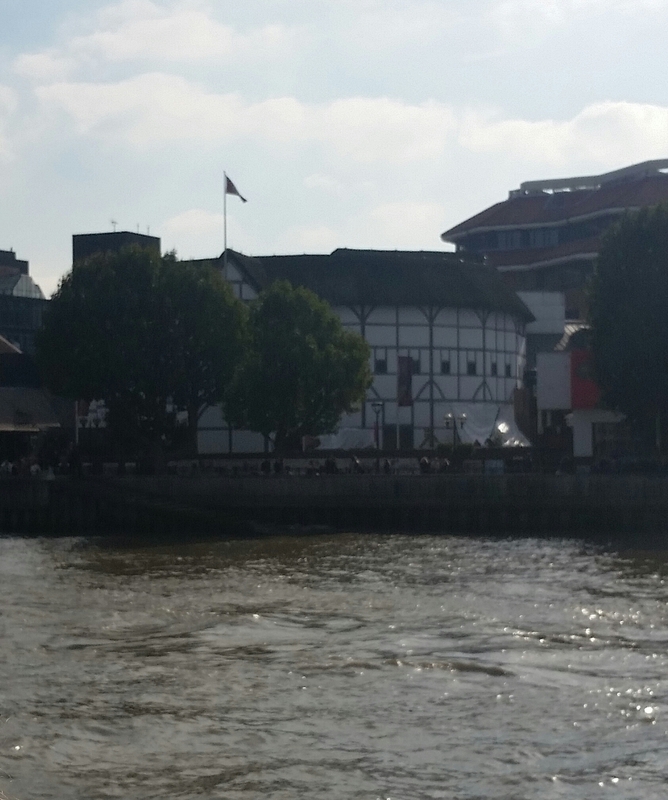 • The Globe Theatre is the only thatched building in London, as they were banned after the Great Fire. However, the theatre could be rebuilt the exact same way as the original. 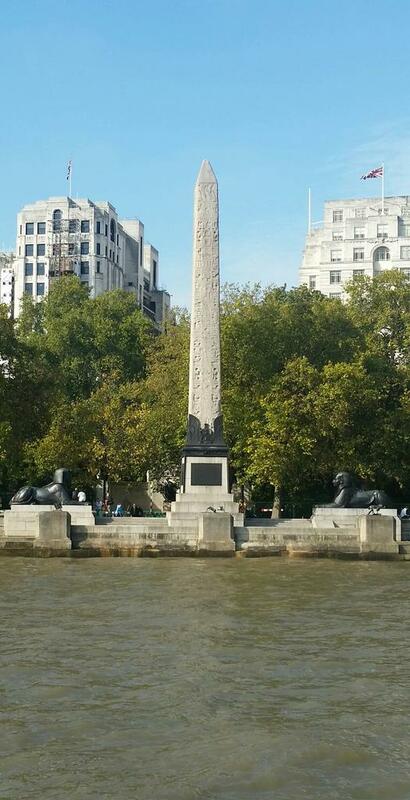 • Cleopatra’s Needle has nothing to do with Cleopatra herself. It was built for Pharaoh Thotmes III in 1460 BC and was sent to England in 1877 from the city Cleopatra. • If you ever pass under Tower Bridge, wave to the people on it and if they wave back, you’ll have five years good luck! • Soon after the opening, the Millennium Bridge began to wobble, causing some pedestrians to become sick. It is also the bridge seen at the beginning of the sixth Harry Potter! With so much to see, going on a river cruise is definitely worth it- even if the river itself isn’t very pretty!